Deconstructing Internet Jargon: What a “Kanye Attitude with Drake Feelings” Means What Does “Kanye Attitude with Drake Feelings Mean”? LOL, ROFLMAO, BRB, AFK, WTF – what started as internet slang in the early days of social media and instant messaging has now become commonplace vocabulary for anyone versed in surfing the web. But internet language, just like our own language, evolves with time – and with the rise of memes and pop culture, internet slang is changing people’s vocabulary even quicker than before. And the slang we have today isn’t as simple as turning a sentence or phrase into an acronym. For instance, take a look at the trends after singer Ariana Grande released her song, “thank u, next.”When her song came out, people on social media started to use the line “Thank you, next”. People would use it to talk about their experiences similar to Ariana’s situation, but the slang also extended beyond a relationship-based narrative. People used it in arguments, when they wanted to move on or pettily tell the person they were fighting with that they weren’t worth the time and effort to argue with. Overall, the term became used to signal that a person was moving on from a conversation. Unlike the original internet slang though which has made its way into countless dictionaries, the thing about pop culture is that once something is at the peak of its trend, it eventually starts to make its way down to make room for the next trend. So, if you aren’t an internet-savvy person or just aren’t into following all the trends as it comes and goes, you might have missed a few internet terms that might seem confusing to people who don’t get the context. 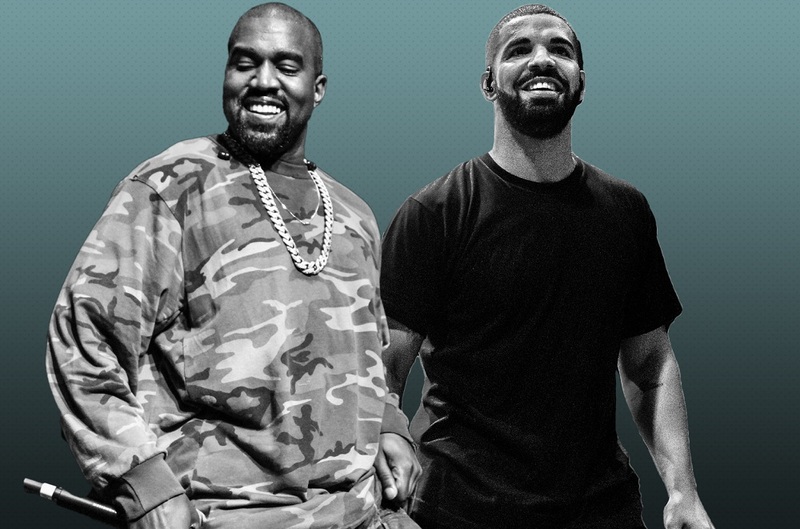 For this article, we look at two of the most popular rappers, Kanye West and Drake. What does it mean to be someone with “a Kanye attitude with Drake feelings?” We’re here to break it down for you. If you’re like me, you may have (knowingly or unknowingly) been listening to his music as far as the early 2000’s. However, he began his career as early as the 1990’s. 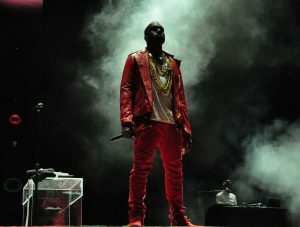 Whether it was his personality throughout his career or his widely-known attitude developed after earning millions for his music and fashion, becoming one of the best-selling musicians of all times, and winning a current total of 21 Grammy Awards, Kanye’s years under the spotlight have left people either loving or hating him. But either way, his popularity and position in pop culture is undeniable. Let’s take a brief look at his music. Unlike other rappers in the industry, Kanye set himself apart by developing a distinct style that combined soul and alternative hip-hop. Instead of talking about the gangster life, gun violence, and other rap styles that were popular in his time, Kanye’s lyrics were more insightful and thought-provoking. That was because he was admittedly middle-class – against the grain of the I’m-from-the-streets-gangsta line of rappers during his time – and therefore went against the grain. Within the next few years, he was experimenting with newer ways to rap, changing the industry in the process and paving the way for rappers such as Kid Cudi, B.o.B, and later on, Drake. As of 2018, all the work Kanye put into his career paid off. Apart from a successful music career, he has a line of clothing and footwear, his contribution as a cultural icon of the 21st century, a net worth of over $250 million, and was dubbed one of the most influential people in the world. However, Kanye’s road to success was not without detours. He’s very outspoken about certain topics, some of which have caused controversy and criticism from fans and critics alike. In 2009, for example, he caused an infamous incident in the 2009 MTV Video Music Awards when he stole the microphone from Taylor Swift –who won the Best Female Video award at the time – during her acceptance speech and declared that Beyoncé – who lost to Taylor but won the Video of the Year – had the best video of all time. His actions have earned him the ire of plenty of singers and celebrities, even the president of the United States at the time, Barack Obama. He’s known for going on plenty of rants on social media against people he has feuds with, people who disagree with him, or people who criticize his music, his fashion, or his family. In 2014, he married his longtime friend, socialite and celebrity Kim Kardashian, who has had her own fair share of controversies. In 2016, he was a proud supporter of Donald Trump and continued to support President Trump until the present, despite moments when he would speak out against politics. He criticized the Black Lives Matter movement and once claimed that “slavery was a choice” by arguing the original Africans that were forced into the United States did nothing to address slavery for hundreds of years. Drake, on the other hand, has a completely different music career. After leaving an acting career in Canada, Drake began his music career in 2006. However, he didn’t achieve success until his third released mixtape in 2009. Due to its success, several record labels went on one of the biggest bidding wars in the industry for the right to record with Drake. Interestingly enough, he cited Kanye, among other rappers, as influencers for his rapping style. Their music careers would constantly intersect (and often clash) later in the future. Drake’s lyrics greatly differ from other rappers. Much more sensitive and softer than the original rappers, some music critics praise his work for capturing the millennial zeitgeist. He’s an open book, revealing his emotional and personal stories through his music the way rappers fail to replicate. It’s why he’s known for writing supposedly egotistical lyrics about himself and his relationships with other women. 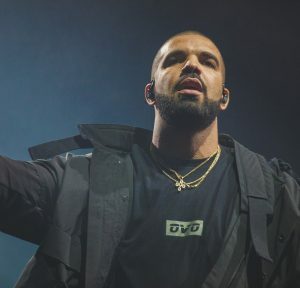 Drake has a reputation for producing emotional lyrics. Instead of the usual way of talking about money, drugs, and women, Drake uses new ideas in his songs. Can You Be Both Sides of One Feud, Though? Ironically, both rappers have been in a supposed feud since 2007 and, as of December 2018, it looks like it has yet to end. 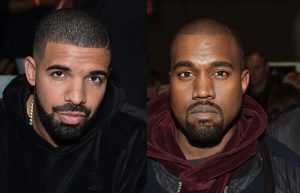 Drake’s 2010 song “Thank Me Now” seems to apply to his real-life relationship with Kanye, who was once his idol but now stands as his rival in this decade-long feud. Starting in 2007 until early 2009, Drake would release mixtapes of him freestyling over Kanye’s own songs. While it may seem like Drake simply looking up to his idol, it appeared like Drake was trying to steal the spotlight when he released his mixtapes at the same time Kanye dropped his own projects. While both of their careers intersected in some points – they both appeared in Jamie Foxx’s “Digital Girl” in 2009 and it was Kanye who directed Drake’s music video for “Best I Ever Had” – their feud likely sparked by 2010 was Drake was spotted with Kanye’s ex, Amber Rose, two months after Kanye and Rose split up. Two months later, Kanye appeared to have cut Drake’s role in his song “All of the Lights”. In 2011, Drake supposedly shot first by claiming Kanye and JAY-Z, who were working on a joint album, copied the idea from Drake and Lil Wayne’s own joint album. In that same year, Drake admitted that while he saw Kanye as his childhood idol, he now saw Kanye as both a friend and competitor and strove to be better than Kanye. From 2013 to 2017, despite the media’s claims that there was a feud between them, Kanye and Drake continued to work together and assure the public that they were on good terms. They were featured in each other’s concerts and projects, and they continued to talk about their mutual respect for each other’s music. By 2017, however, Kanye began to sing a different tune. At a 2016 Saint Pablo concert, Kanye ranted about both DJ Khaled and Drake despite claiming he loved his fellow artists. Drake responded two months later, admitting he wasn’t sure why Kanye was publicly dissing him despite saying he still liked him. On 2018, Kanye produced a song with Drake’s longtime rival, Pusha T. His songs accused Drake of using a ghostwriter, Drake’s anger, his habit of abandoning his relationships, his mother, and the fact that Drake secretly had a child with a former adult-film actress. Kanye denied telling Pusha T about Drake’s child but admitted that he and Drake were no longer on good terms as they once were. A day after the song was released, Kanye apologized to Drake for producing Pusha T’s songs but insisted he never told him about Drake’s son. Two weeks later, however, Kanye went on a rant in Instagram, claiming that on Drake’s popular song “In My Feelings,” the woman in the song referred to as “Kiki” was Kanye’s wife, Kim, who once had a brief relationship with Drake. He claimed Drake was smart enough to know that that was one of her nicknames and it would affect him. The feud continued towards the end of 2018 when Kanye went on several more rants against Drake, saying Drake threatened his family and reminded Drake that he wouldn’t have reached his level of fame and success without him. With two contrasting personalities creating a decade-long rivalry, is it really possible to be a person with a Kanye attitude with Drake feelings? When you take away all the drama, the music career disses, and the Twitter rants, it could be. Kanye, with his years of experience, hard work, and achievements under his belt, feels like he deserves some amount of respect. That includes people listening to what he has to say regardless of whether or not they agree with him. At this point in his career, Kanye knows there will be people who will not like him regardless of what he does, but he’s in a position where he doesn’t have to care about pleasing anyone and won’t pretend to be someone he’s not, thus revealing his real attitude in every Twitter rant he’s gone on and in every song he’s written or produced. Drake, on the other hand, while not carrying the same experience with him, has the ability to put his emotion in every song. He’s developed a reputation for being sensitive and soft. In a music industry where rapping is always about the same topics, Drake twists it and turns every song into a personal, open-book experience that many millennials can relate to. The slang doesn’t refer to being both sides of a feud. Rather, you take the best, most well-known parts of these two and put it into one person. Be a Kanye. Someone who is real and honest and says what they want to say despite the naysayers and those who ridicule him just for the sake of it. If you try to please everyone, you will fail. So, as much as possible, try to please yourself. Only the people who are real and the people who matter to you will see past the rumors and the criticisms will matter to you. So, build your experience, learn from your mistakes, and keep trying to improve yourself, but once you reach that point, never feel like you have to live for other people who don’t matter in your life. At the same time, be a Drake. You’re only human, and as much as you try to stay strong against all the criticism, your emotions and feelings are still valid. You can try to be strong and tough and unfazed by everything that’s happening around you, but when you’re alone or with people you trust, it’s OK to let your guard down and show how you really feel. It’s alright to feel sad. It’s alright to be angry. It’s alright to be in love with a person who will never love you the same way. Because for all that attitude you bring, you’re still human. In short, to be someone who carries Kanye’s attitude with Drake’s feelings is a strong person who can handle the challenges of the world without losing sense of how they really feel about it all. Realize who you are and your self-worth so that you aren’t insecure about those around you, but also recognize your emotions and don’t be afraid to express yourself.